but only a few can be called Titans!" Do you consider yourself stronger than average? Can you lift? Do you have unbelievable stamina? 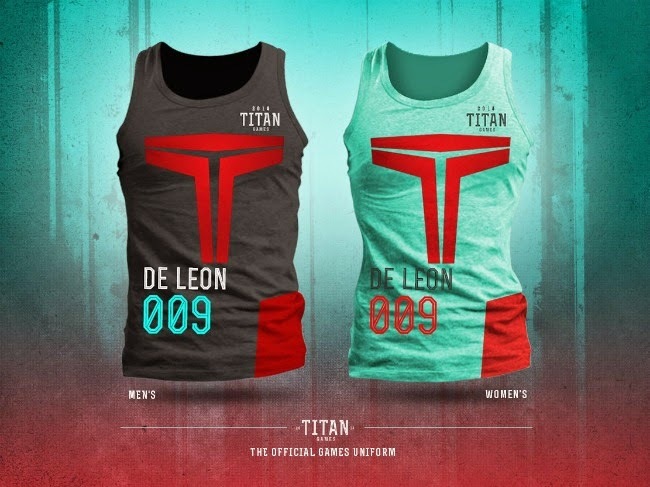 If you answered YES to all, then join the Titan Games 2014 for a chance to win AWESOME prizes, bragging rights, and a chance to become a brand ambassador for BeyondDraw or Fit Miss. REGISTRATION IS NOW OPEN. P1,000 per individual. 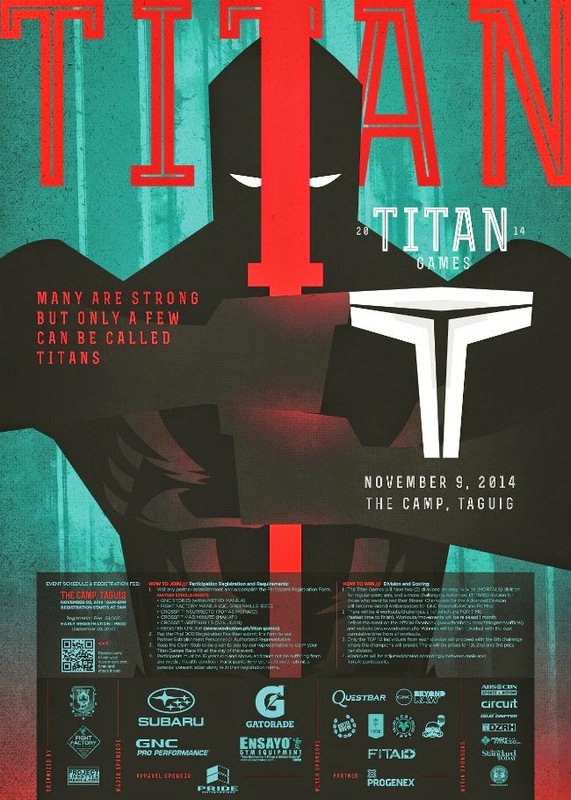 EARLY BIRD RATE at P800 until Sept. 30, 2014 only. 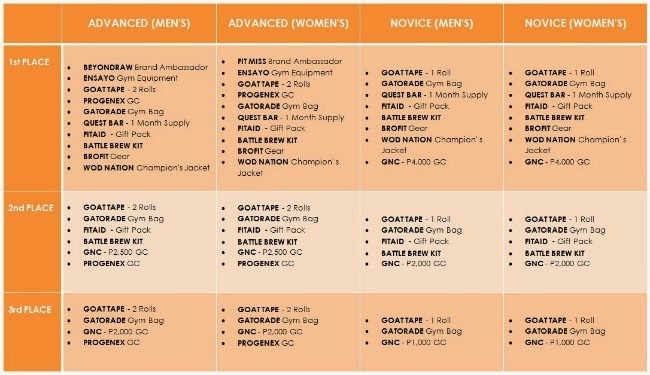 Prizes from GNC, BEYONDRAW, FIT MISS, ENSAYO GYM EQUIPMENT, GATORADE, QUEST BAR, FITAID, BATTLE BREW, PROGENEX, GOAT TAPE, BROFIT AND WOD NATION up for grabs!